I am selling this for a very close friend who does not have time to advertise and facilitate the sale. I can answer all of your questions and put serious buyers in touch with him. This is one of Jason Welage's national race winning chassis and engine packages. It is a 2014 Blu Eagle with very little time on the engine and chassis. The package price includes the chassis, national winning Woltjer Kt-100 with freshly rebuilt Hortsman clutch complete and ready to race. It also includes the following spares. 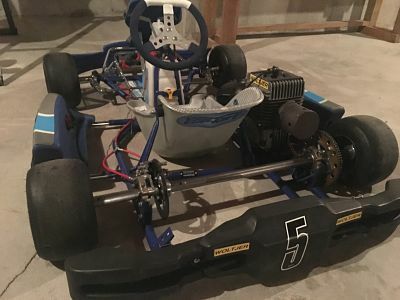 This package was purchased for a kid coming out of Kid Kart but before it was raced they decided they did not want to move up. 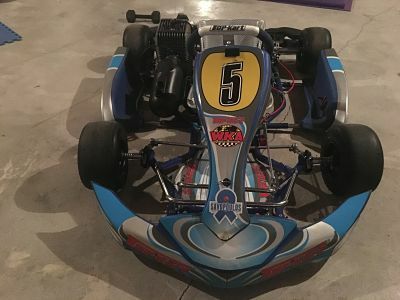 This Kart package is still in great condition just as it was when Jason Welage Won with it.